Home Lotus Elise Lotus Evora Lotus Exige Lotus is recalling certain model year Elise and Exige vehicles and 2011 Evora vehicles because the oil cooler hose may detach from its fitting. Lotus is recalling certain model year Elise and Exige vehicles and 2011 Evora vehicles because the oil cooler hose may detach from its fitting. 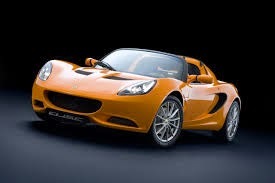 Lotus Cars USA, Inc. (Lotus) is recalling certain model year 2008-2011 Elise and Exige vehicles manufactured from November 2007 to July 2011, and 2011 Evora vehicles manufactured September 2010 through September 2011. The oil cooler hose may detach from its fitting. A detached oil hose could spray oil on a tire, increasing the risk of a crash, or it could spray oil throughout the engine compartment, increasing the risk of a fire. Lotus will notify owners, and dealers will replace the oil cooler hose fittings on the Elise and Exige vehicles and will replace the oil cooler hose assemblies on the Evora vehicles, free of charge. The manufacturer has not yet provided a notification schedule. Owners may contact Lotus at 1-800-245-6887. Lotus' number for this recall is 201401R (Elise/Exige), and 2014/02R (Evora). Note: This recall is an expansion of recalls 11V-510 and 13V-041. If you've got a lemon Lotus, we can help. Getting rid of lemons is what we do. Everyday. Since 1978.